Groningen, the Netherlands – February 27, 2018. 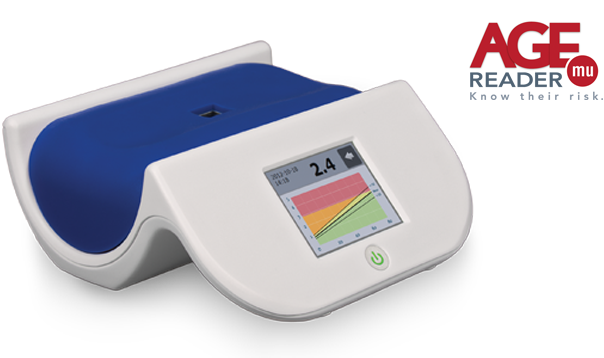 The AGE Reader mu has received medical device approval from the Korean Ministry of Food and Drug Safety (MFDS). This allows the Korean AGE Reader distributor, DiosPharma, to market the AGE Reader mu as a medical device. After receiving regulatory approval in China and Japan earlier, this approval in Korea is another milestone in the business development in Asia for Diagnoptics. Bart van den Berg, CEO of Diagnoptics, is confident that DiosPharma will be successful in marketing the AGE Reader: “Already from the first contact DiosPharma showed to be a professional and dedicated partner. By creating awareness about AGEs and obtaining this regulatory approval DiosPharma created a strong basis to build a promising business. This has immediately been confirmed by a first substantial order and more expected to come”.